Mathendele Moses Dlamini, head of the mission of the SADC Dolphin Phase-I Mapex military exercise, was quoted as saying that the SADC Standby Brigade is ready to intervene in DR Congo and Madagascar which are currently facing armed conflicts. Mathendele Dlamini also said that the military exercise, which is being carried out in Cabo Ledo in Angola's northern Bengo province, will bring together effectives of the armed forces and police from the SADC member states. He added that the SADC standby forces should function as an important peacekeeping element of the African states. The Dolphin Phase-I Mapex is a joint and integrated military exercise aimed at preparing the SADC Standby Brigade for peacekeeping operations in a multidimensional way in accordance with the program of the African Union's standby forces. The task of the standby brigade, he said, consists of observing and controlling, support to peace, intervention in a member state in order to restore peace and security, prevention of disputes or conflicts in any manner, thereby preventing it from worsening or spreading to neighboring states or areas, provision of humanitarian assistance, post-conflict disarmament and demobilization. Based in their respective countries, the personnel belonging to the standby brigade should only be dispatched when requested for any action or mission of peace. 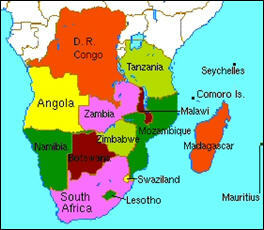 The SADC is made up of 14 countries including Angola, South Africa, Botswana, Mauritius, Lesotho, Malawi, Mozambique, Madagascar, Namibia, DR Congo, Congo, Swaziland, Zambia and Zimbabwe.